This past Saturday I visited the Greater Springfield Farmers Market with a couple friends – I picked the wrong day to take my friends for their first visit to the market though… The temperature was 32 degrees, the sun was hiding and the wind was fierce! But, we (including my 18-month-old son) battled through the harsh weather to do our shopping. My friends had never been to the market and even though the weather wasn’t perfect – they had an eye-opening experience. Greens, garlic, onions, carrots, radishes, breads, cheese curds, meat galore and plants to mention a few of the items available. I came away with a perfect shopping list for the week for my family’s table which included: garlic, onions, spinach, lettuce, cheese curds and milk, beef sausage, apply butter, cinnamon rolls, chicken and an Asian-style green called Bekana. While talking with Echigo Farms I learned about this unique green the farm was offering that perked my interest. Bekana is a cousin of Chinese Cabbage, but is eaten before the heads of the leafy green forms. The green is mild in taste and perfect in salads, can be steamed, boiled and is perfect when quick-blanched for a wilted salad. 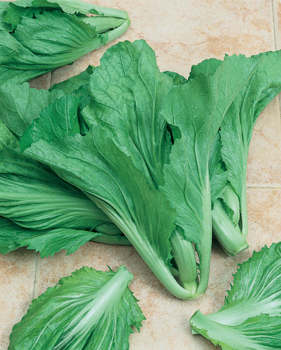 You can also use it in place of bok choy (one of my favorites) or napa cabbage. Echigo Farms also offered a recipe for me to try (which of course I did) to help me experiment with this special green. Kudos to the farm for providing customers with recipes at market. Here is the recipe we used to prepare our Bekana. In a wide heavy sauté pan or wok over medium heat, warm the oil. Add the sesame seeds and stir until they pop and become fragrant. Add the ginger and garlic and sauté for 1 minute. Add the greens and 1 T. soy sauce, raise the heat and cook, covered, for 1 minute. Uncover and sauté for 1 or 2 minutes more, until the greens are tender but still bright green. Stir in more soy sauce and vinegar to taste, and serve immediately. Hope your family enjoys this fresh recipe from the market!